We are a large source for thousands of Horse Tack Products including Horse Quarter Sheets, and many other exercise Horse Sheets. 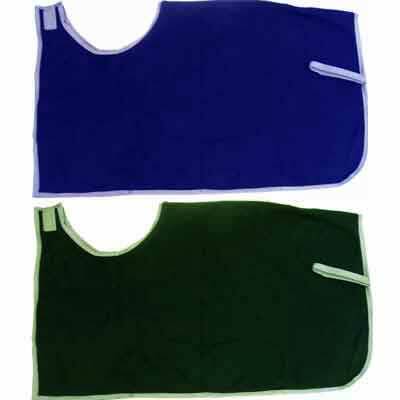 This 100% breathable no pill polyester fleece sheet with contrasting trimming makes a perfect exercise or quarter sheet. It measures 54" long with a 30" drop and tail cord. Horse Tack Now is the ultimate source for Quarter Sheets for horses on the web.